This verse was not only a blessing to the believers at Corinth but to all Christians, but to all who have been saved by grace through faith. 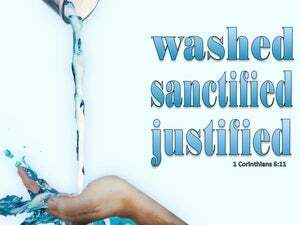 This truth is a blessing to all who have been born from above - to all who are part of the Church of God, for this verse reminds us that ALL Christian are sanctified in Christ. 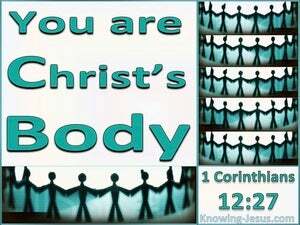 All are saints of God and set apart unto Him, for we are all united with Christ, and all are positionally set apart in Him. 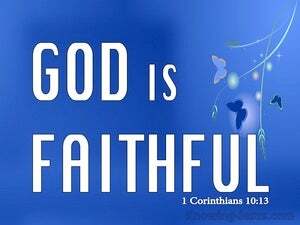 We are the called of God.. the chosen of God.. the elect of God, and enriched by God's grace - simply because we believe God's Word and trusted the Lord Jesus Christ for our salvation - and God is faithful and just to fulfill all that He has promised to those that are called and chosen - to those that trust His Word. 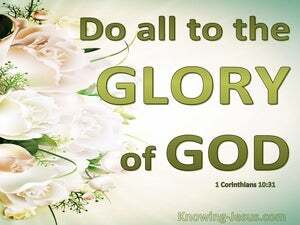 We are all called by God to be holy and set apart unto Him but we are also called into fellowship with our Christian brothers and sisters in Christ - we are urged to be of the same mind and the same judgment. 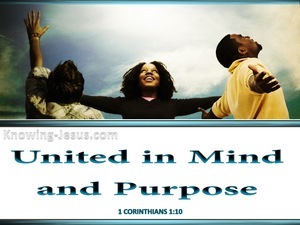 The Christian Church is one Body of believers, who are all united together under One Head – Jesus Christ the righteous. He is the Apostle and High Priest of our profession and He is the chief Shepherd of the flock. Jesus is the singular Leader of the Church and Captain of our salvation, Who was made perfect through His sufferings, on our account. 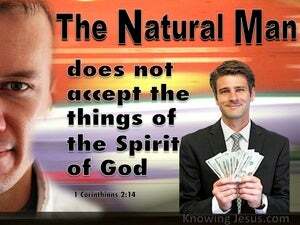 Baptism was not the focus of Paul's apostolic ministry. His primary objective was to preach the saving truth of Christ crucified and the immense power of His glorious resurrection, so that all who were once were far away from God, could be brought near.. by faith in the blood of Christ - a stumbling block to Jews and foolishness to the Gentiles. 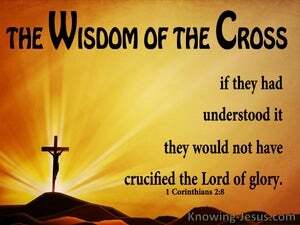 Philosophical wisdom in Paul's culture was almost as highly prized as the pop stars and sports men and women of today.. but the same saving gospel message of the cross that Paul preached 2000 years ago still has the same astonishing, antithetical effect in our own lives and cultures. It was Isaiah who first prophesied: I will destroy the wisdom of the wise, and bring to nothing the understanding of the prudent, when he denounced the 'clever' men of the court, who were encouraging the king of Judah to make an alliance with Egypt against Assyria, rather than trusting the Lord their God for protection. The message of the Cross is foolishness to those that are perishing.. in a world that is estranged from the One Who created them, and so we discover a worldly wisdom which is rooted in man-made, egotistical philosophies, which carefully circumvents everything to do with the death of Christ and His glorious resurrection - and yet Christ's death and resurrection is the foundation upon which our Christian faith is established. 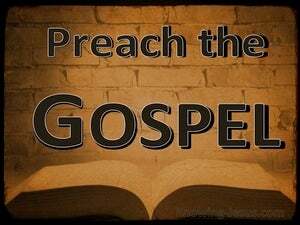 The theme of this chapter is the doctrine of the cross and the shed blood of the Lord Jesus Christ, and Paul writes a critique of this glorious gospel of God as it relates to those that are perishing - who consider the cross of Christ to be foolishness. 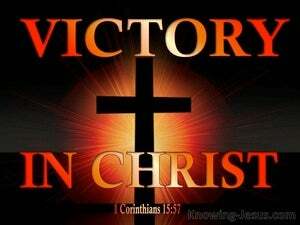 But he also givens an evaluation of those that are saved by grace through faith in Christ.. who recognise the message of the cross as the power of God for salvation - to God's eternal glory and praise. There is no more sublime truth than the message of the cross, and yet we see a complete misunderstanding of the simple gospel of Christ - both during His own earthly ministry and throughout the apostolic letters that were written to the Church. 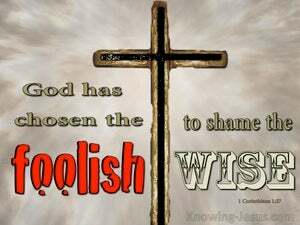 The message of the cross was a stumbling block to Israel - then as now, and the gospel of God remains foolishness to the unbelieving Gentile - now as then. 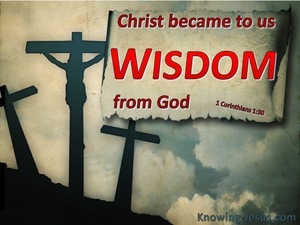 Man cannot through his own wisdom, knowledge and learning come to an understanding of the incredible significance of the cross, and the glorious plan of salvation, which the Triune God purposed and planned in the eternal council chambers.. before the foundation of the world. 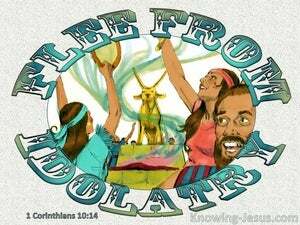 In the beginning man believed the satanic lie and sought independence from God. 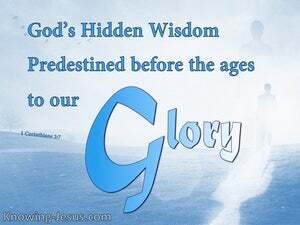 Over the years man has come to the conclusion that through accumulated knowledge; human wisdom; astute negotiations, intellectual excellent; philosophical thinking or clever planning he could circumnavigate his need to depend upon God.. and so began his futile quest to develop a human excellence that excludes God, which can only result in a devastating and destructive downfall. 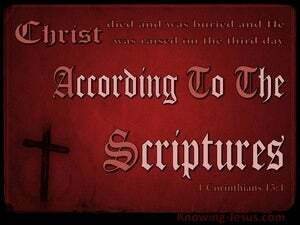 The focal theme and central thrust of all Paul's epistles is the message of the cross.. the good news of the gospel of Christ. 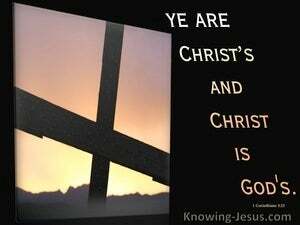 However Paul in his letter to the Corinthians gives two opinions of the cross of Christ: 1) the cross of Christ as unsaved men view it and 2) the cross of Christ as God views it. The message of the cross cuts to the quick of human boasting, selfishness and pride. 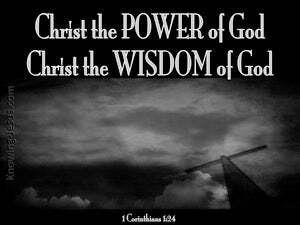 It brings to nothing the wisdom of the wise. It silences the brilliance of the philosopher and dismantles the strength of brutish men.. who are mighty in their own inflated eyes. 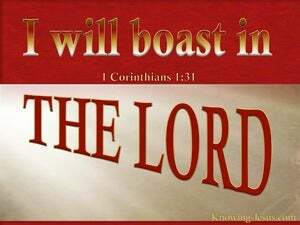 Sin is so terrible in the sight of God that Paul determined to explain the shockingly high price that God in His grace chose to pay to redeem mankind, so that no-one could ever boast that they were saved because of their good works. There are none that are good and not one can brag that their kindly deeds; financial contribution; pious prayers; saintly religiosity or ecclesiastical duties contributed towards their forgiveness of sin and everlasting life. 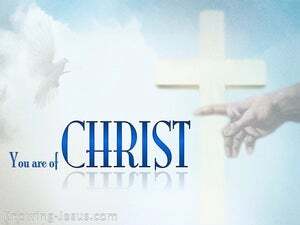 The moment we were born again the Holy Spirit baptized us into Christ, He positioned us in Christ. We exchanged all that we were for all that He is.. and as members of His body we became one with Him. Like so much of the Church today, these Christians in Corinth were not living the life of holiness and humility to which we have all been called, but had allowed the standards, morals and attitudes of the world to infiltrate their position in Christ. 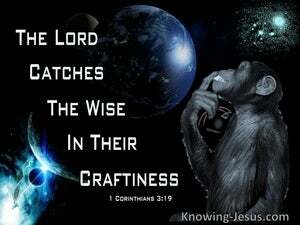 When lives are lived on the un-sanctified wisdom of the world and people allow the clever oratory skills and philosophies of men to influence their own thought processes, in preference to the Word of God.. those lives will be characterised by spiritual weakness, doctrinal error and a tendency towards an inflated ego. Corinth was a city of great orators and wise, intellectual philosophers.. where credibility was founded on one's academic ability, educational prowess, intellectual stature and oratory skills. 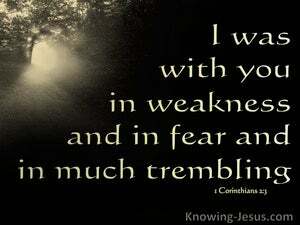 Paul however had determined that he would not speak to the people in Corinth about God with flowery words, convincing arguments, great wisdom or politically persuasive rhetoric. 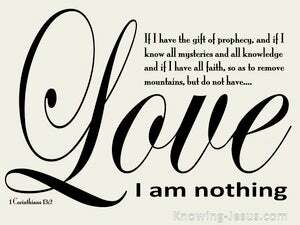 Paul determined to know nothing - except Jesus Christ and Him crucified. 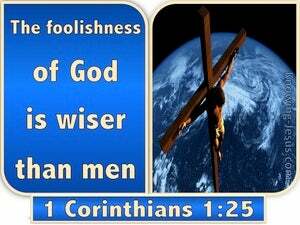 The foolishness of God is wiser than human wisdom, and the weakness of God is stronger than human strength, and when Paul proclaimed the gospel message it was not some convincing figment of man's imagination.. designed to tickle itching ears, nor was it a persuasive proclamation that was founded on worldly words of human wisdom. 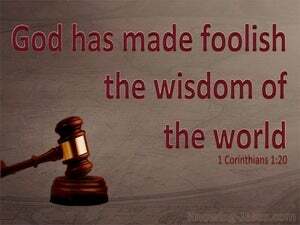 Human instinct is to rely on Self, but Paul was humbled before the mighty hand of God and quickly learned that the wisdom of the world, which is so prized by men, is foolishness before God. 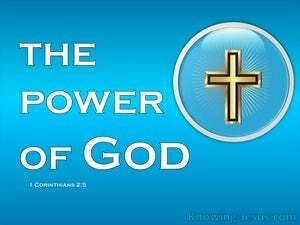 Our physical abilities, human wisdom and mental capacities are of no account, before the omniscient power, of our holy and just God. 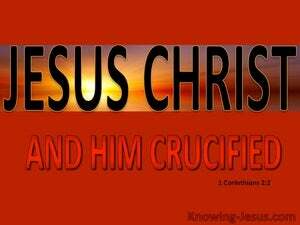 The focus of Paul's teaching was Jesus Christ and Him crucified. 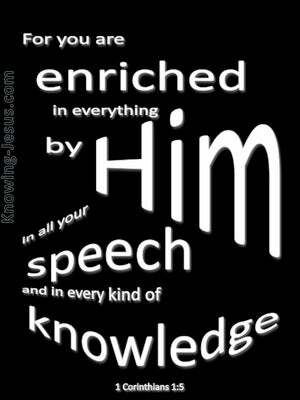 It was not using any persuasive words or relying on human wisdom, that motivated Paul in his ministry.. nor was it his eloquent preaching style, that exposed Paul's inner strength and godly wisdom. 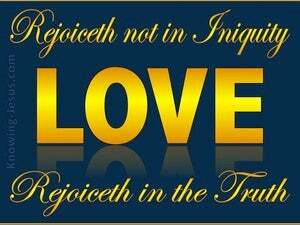 The Corinthian Christians were a group of believers who delighted in their outwards gifts and talents, to the exclusion of an inner spirituality, which centred on Jesus Christ, and which would produce in them, the beautiful fruit of the Spirit.. which is rooted and grounded in love. 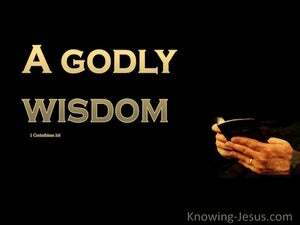 The wisdom of God is very different from the wisdom of this age. 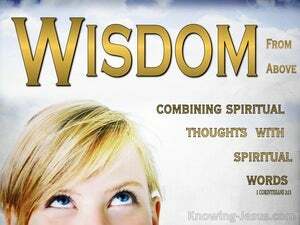 Worldly wisdom, demonic wisdom, human wisdom and wisdom that comes from the fallen rulers of this age.. whether it be from the demonic spiritual realm or their human agents.. through whom they implement their nefarious plans - wisdom that is not from God is foolishness. 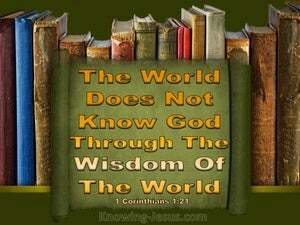 Paul did not teach the wisdom of the age. He did not speak a message that emanated from human wisdom. 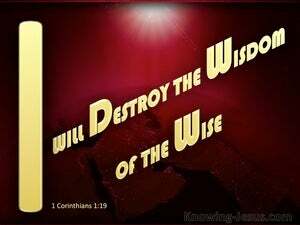 Paul spoke out God's secret wisdom, which had been hidden for ages and generation, but has now been revealed to all, who have trusted Christ for salvation. This wisdom from above is recorded in the Holy Scriptures -and is freely available to whosever will take the time and effort to seek it out. 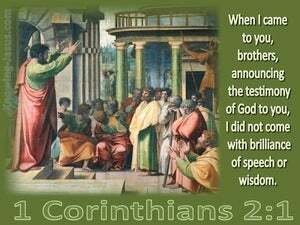 The Corinthians Christians had some serious misunderstanding about Paul's message and ministry, which gave rise to division within the church; immoral activities among its members; a selfish, self-serving attitude and the stunting of their spiritual growth. 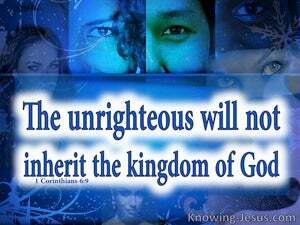 The divisive, self-seeking behaviour of these carnal believers dishonoured the Lord and was destructive to the Body of Christ. 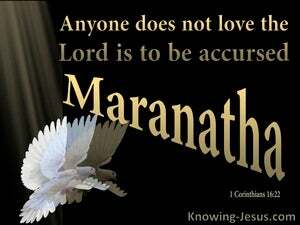 There was disorder in the Church at Corinth and division within the congregation. 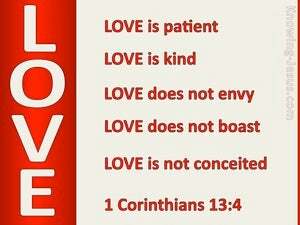 The teachings that Paul had given to these believers was being ignored. 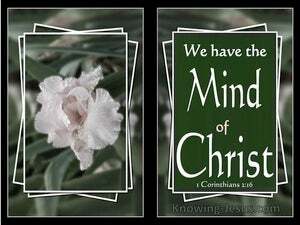 They had become carnal and needed their minds to be renewed and their hearts to be transformed into the likeness of Christ. 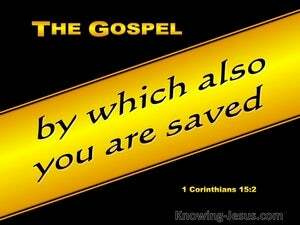 Paul teachers that there are two types of people in the world – the saved and the unsaved. 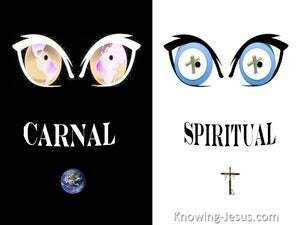 But he then expands his teaching to show that believers also fall into two categories - spiritual Christians and carnal Christians – those that are growing and maturing in the faith are called “spiritual” and those that are not are labelled “carnal”. 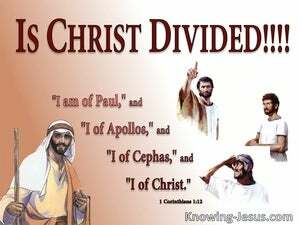 Paul was very concerned about the disorder, division and internal disputes that were erupting in the Corinthian Church. 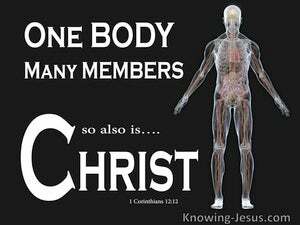 It seems that little groups or different sects were forming within the body of Christ, with each one stating their preference for a different Church leader. What joy should fill our hearts and what awe should flood our beings as we contemplate this momentous position into which those who trust in Christ have been placed, for we are fellow-laborers with God, under His employment as He fashions and forms us into the image and likeness of His beloved Son. 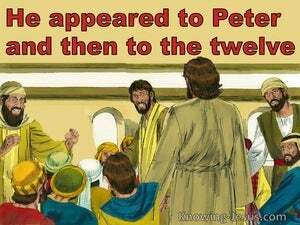 During His earthly ministry, Peter confessed: You are the Christ, the Son of the living God. The Father had revealed this wonderful truth to Peter, and it was upon this stupendous revelation that Christ would build His church. 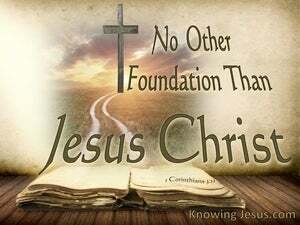 The foundation of the Church would be built on the one and only Rock of Salvation - and upon this Rock I will build my Church; were the words of Christ, and the gates of hell shall not prevail against it. 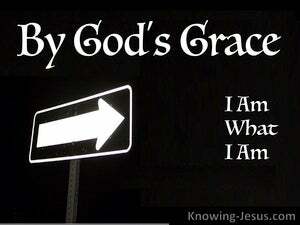 As believers we are saved by grace through faith, but once we are part of God 's family we are to mature in the faith and to live our Christian life as unto the Lord. 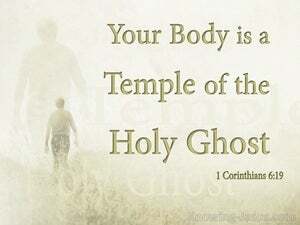 As believers our body is the temple of the Holy Spirit and we are living stones - being built up into a spiritual house. 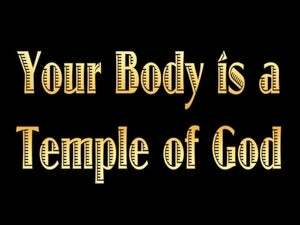 It is an amazing privilege as well as a huge responsibility to realise that as Christians our frail, human body is a temple of God. One result of trusting in Jesus as Saviour is to have God's Holy Spirit come and take up permanent residence without our mortal frame. Paul plunges into a section of disciplinary teaching in this chapter, because of the shocking divisions that were taking place within the congregation. 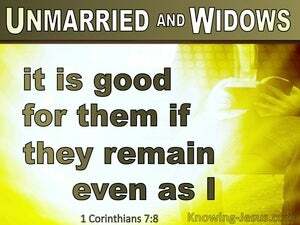 Their behaviour towards each other reflected the carnality of the unsaved, causing petty jealousies and strife to divide them. 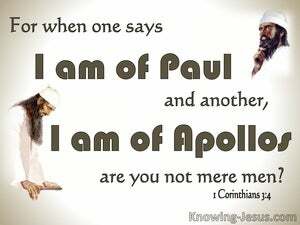 Paul was the apostle appointed by God to reveal many mysteries to the church that had been hidden from man’s understanding and which the former prophets of old longed to look into. Paul is a teacher that builds-up the theme of his teaching on a logical progression, which have their ultimate focus on the face of the lovely Lord Jesus Christ and the gospel of grace. When we get our eyes off the Lord, our eyes are on the wrong things. 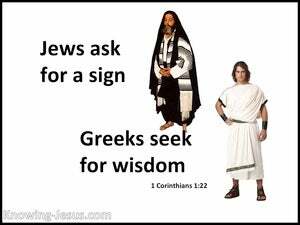 The believers in Corinth had taken their eyes off the Lord and were arguing about the qualities or deficiencies of their favourite teachers and preachers. Some preferred Paul's style, and others were more partial to Apollos or Peter. How foolish to take our eyes off the singular subject of Scripture and squabble about the credentials of the messengers. 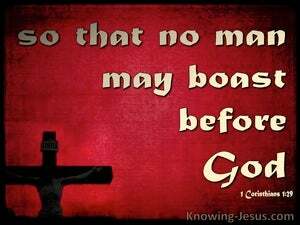 Christ is the anointed of God - the Messiah - the One chosen by the Father to be pre-eminent among humanity – a perfect Man, Who alone can save us from our sins and bestow upon us eternal life. 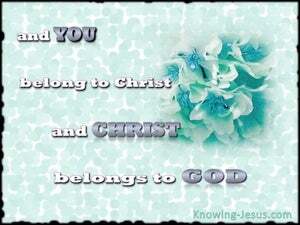 If we belong to Christ and He belongs to God, it is beholden upon us to know more and more of Him. The Lord Jesus Christ died on the Jewish day of Passover – He was the true Passover Lamb – He was the Lamb of God that takes away the sin of the world – He was the Lamb slain from the foundation of the world – so that all who believe on His name would not perish but have everlasting life. 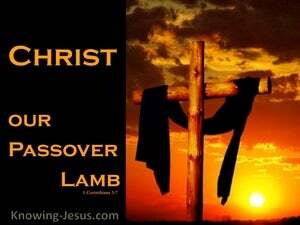 Christ our Passover Lamb has been slain for you and for me. 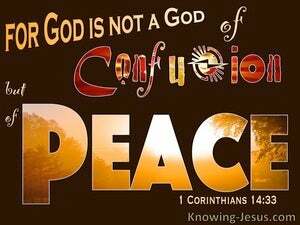 There was significant division among the Christians at Corinth. 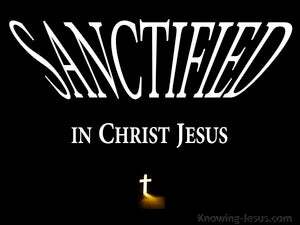 OH, they were saved by grace through faith in Christ, for they were identified by Paul as 'saints.' 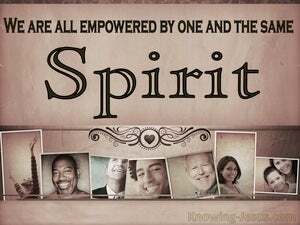 They had also been equipped with many spiritual gifts, and were described as being positionally 'sanctified in Christ,' and 'set apart' unto God. 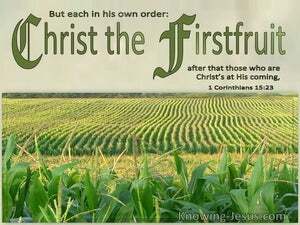 The Bible tells us that the most high God does not dwell in houses made by human hand, for heaven is His throne and the earth is His footstool and yet the most wonderful news is that God makes His home in the heart of all who come to Christ for Salvation - the forgiveness of sin and life everlasting. 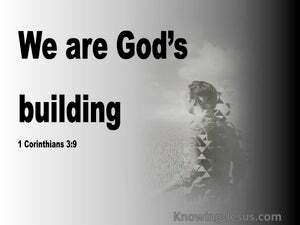 Not only has God created us but He has redeemed us. We not only belong to the Lord because He formed and fashioned us out of the dust of the earth, but we are His precious possession for a second reason. 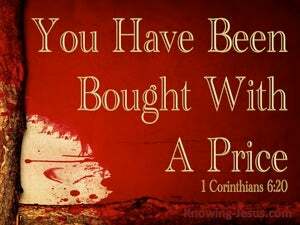 We have been bought with a price:- the precious blood of our Saviour, Jesus Christ, and so we are challenged by Paul to: glorify God in our body. 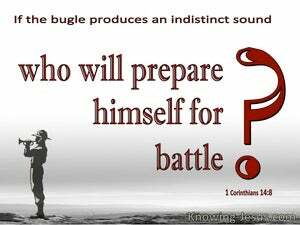 The first few chapters of 1 Corinthians deals with disorder in the Church, which caused chaos among the congregation. 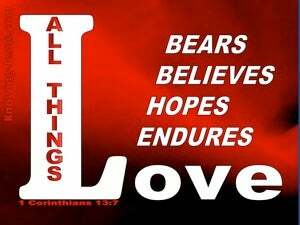 Paul had to chastise them for division within the body of Christ; immorality among believers and the filing of foolish lawsuits against one another. 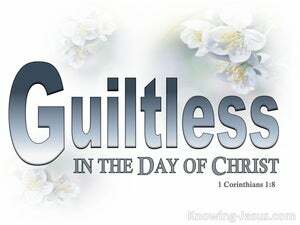 He also upbraided them for moral neglect and sexual sin, all of which presented a poor Christian testimony to the outside world and dishonoured the Lord Who bought them. 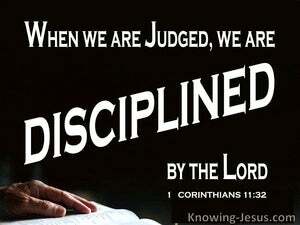 Having spent a good few chapters addressing disorders, dissensions and immorality within the Corinthian church community, together with lawsuits among believers and moral impropriety amongst Christians, Paul continues his epistle by outlining the godly and doctrinal elements that should be the distinguishing marks of a fellowship of believers.. who are living in spirit and in truth. 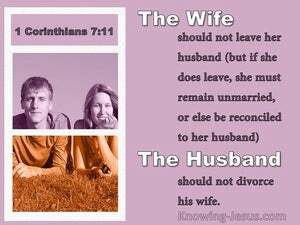 Some important issues about marriage and its wider implication are considered in this chapter, and Paul answers many questions that are often raised in connection with marriage.. and he gives some important guidelines to believers. 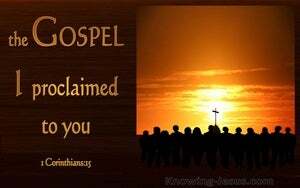 No matter what our birth, heritage, vocational standing, financial situation or political leanings, the truth of the glorious gospel of Christ is the thing that sets men free. 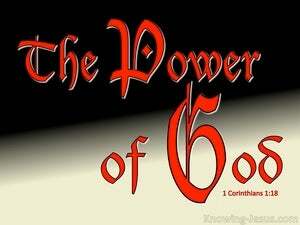 The man or woman who is called of the Lord to be holy, by faith.. is set free from all the restriction, constraints and controls that influence every part of our commonplace lives. 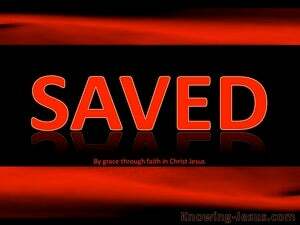 We are saved by grace through faith in Christ and once we are born again we are to live our Christian life in a manner that is worthy of our position in Him. 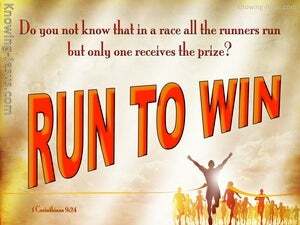 Paul often used images of an athlete to illustrate the way that we are to live the Christian life. 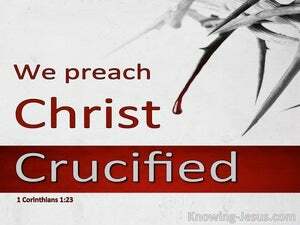 Paul's passion was to preach Christ to Jew and Gentile alike - Christ crucified and Christ risen from the dead. 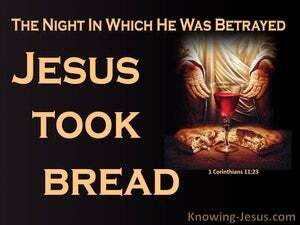 When he taught the Jews about the Lord Jesus, he approached it from a Jewish perspective. He used the Law of Moses, the writings of the prophets and Psalms to point his kinsmen to Christ and explain the truth of Who the Lord Jesus was and why He was the promised Messiah of God. 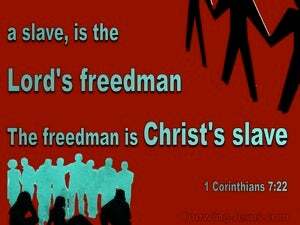 The Corinthians had in many ways abused the freedom they had in Christ and in certain cases were using their liberty as a license to sin, but such an attitude, then as now is diametrically opposite to what the Word of God teaches the Christian life should be. 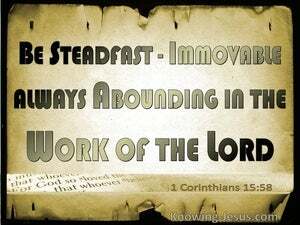 What marvellous words of encouragement are couched throughout Scripture and here we discover God's sufficient grace is available to all His children in the midst of the various trials and temptations that we all have to face during our earthly sojourn. 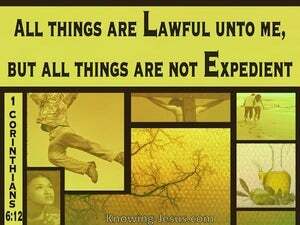 As believers we live in the Church dispensation and we are not under the Law but under grace. 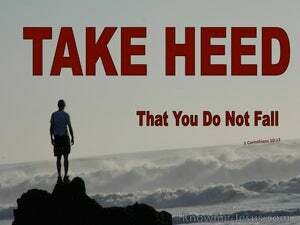 Unlike all other religion, including many denominations in Christendom, we do not have to do certain things or abstain from other things in order to please our God – all we have to do to please God is to trust in Jesus as Saviour, by grace, through faith – knowing that He is God that He rewards all who diligently seek Him. 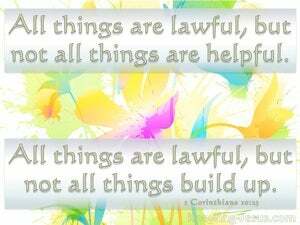 Although in context this verse reminds us not to fall into legalism by imposing non-scriptural rules and regulations upon ourselves or others, about what we can or can't eat - or what we should or should not drink - in its wider application this is a life-challenge to all believers. 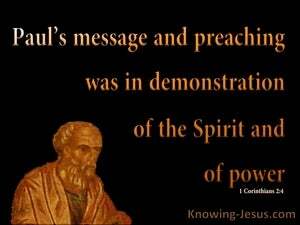 Unlike the rest of Christ’s apostles, who walked with Jesus throughout His earthly ministry, Paul was called to be God’s apostle to the Gentiles, following the resurrection of the Lord Jesus Christ, and His ascension into heaven. 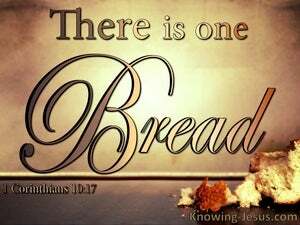 It is in the serious context of the Lord's Supper, that we read, that when we are judged, we are disciplined by the Lord, so that we will not be condemned along with the world. 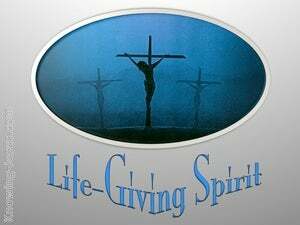 In many church assemblies today there is much emphasis on the gifts of the Holy Spirit and though the gifts of the Spirit are wonderful and exciting, if they are not administered in love, they are of little worth and can even become abused and destructive. 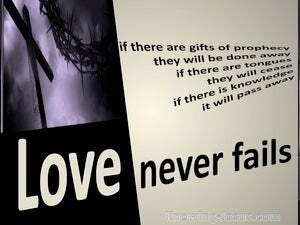 There are many gifts that are given through the Holy Spirit, as He chooses, but unless those spiritual gifts are ministered to one another, through love, they are of little significance and of no spiritual value at all. 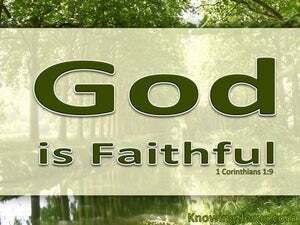 We read that the carnal Christians in Corinth, could not be considered spiritual believers. 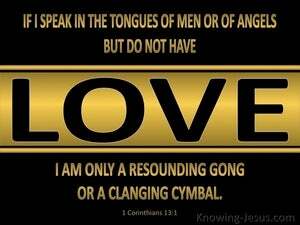 Paul addressed them as babes in Christ, even though they had an over-abundance of spiritual gifts. 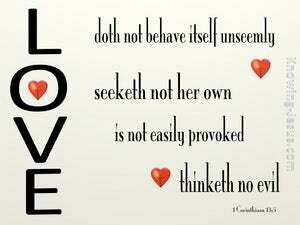 Love is the primary characteristic that we see in the Father's gift of His Son to the world and in Christ's sacrifice of Himself for His church, and throughout the Church epistles we are called to love one another in the same way that Christ loved us, for love is enriching and fulfilling for the one who loves as well as for the one who is loved. 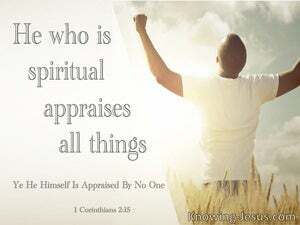 As we read through the first epistle to the Corinthians we discover them to be a group of immature believers who were argumentative, carnal-minded, discontented, immoral, inconsiderate, unloving, self-inflated, selfish and critical of others. 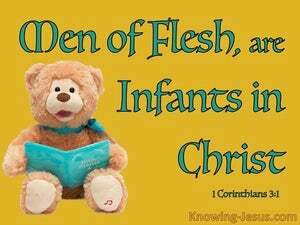 And although they were set-apart unto God, positioned in Christ and eternally secure, they were not maturing in their spiritual walk, but acting like spoilt infants. 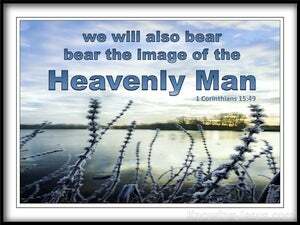 Man was made in the image and likeness of God, but that image became distorted and marred when sin reared its ugly head, and man chose the path of disobedience over the pathway to peace, the highway to holiness or the road of righteousness. 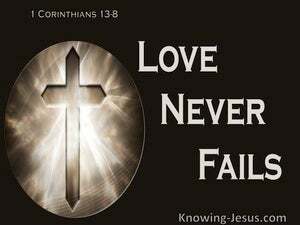 The beautiful characteristics of divine love are seen being lived out in the life of the Lord JESUS Christ, and God's will is that all His children reflect the love of Christ in their heart and life. Of all the gifts and graces that are poured out in great abundance into the lives of believers there are three that out-shine and out-last all others. 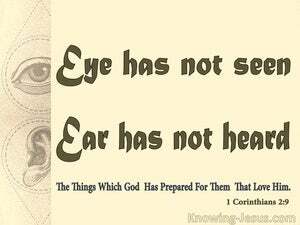 When prophecy is complete, languages cease, signs are silenced, and miracles of health, healing, provision and protection are no longer needed. We are told that these three, spiritual fruit of God’s amazing grace will continue and will remain and abide into the eternal state. 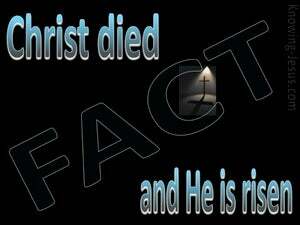 We are Christians because we believe that Christ died and rose again and that His death was a substitutionary death. 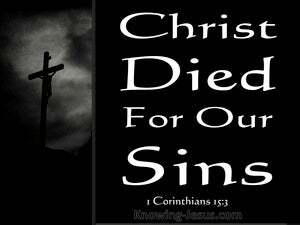 We believe that He paid the price for sin so that all who believe on His name would be saved. 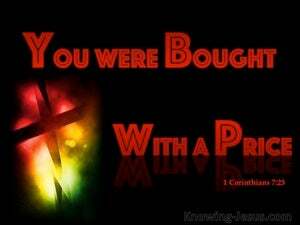 He paid the purchase price for our redemption so that those who believe on His name become God’s own purchased possession - for we are in Christ and accepted in the Beloved. Paul was keen to preach nothing but Jesus Christ and Him crucified.. and as he starts to conclude his first epistle to the Corinthian Church we once again find him reiterating the same, simple, saving gospel truth - that Christ died for our sins, according to the Scriptures and that He was buried and that He rose again the third day according to the Scriptures. 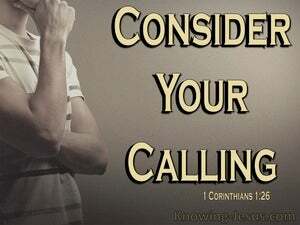 Despite the Corinthian Christians being saved by grace through faith in Christ, Paul had some serious concerns about their ungodly conduct, their spiritual immaturity, their argumentative behaviour and their abuse of spiritual gifts. We have a future hope that is set in the immutable word of God and His word is fixed, permanent, established and eternal and that hope began the moment we were born again when we were taken from the kingdom of darkness into the arms of our beloved Saviour – but it was planned in the heart of God in eternity past and it was cemented in heaven the moment Christ burst from the tomb and broke the power of sin and death and hell. 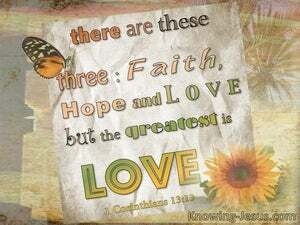 Christians have the most wonderful and blessed hope. 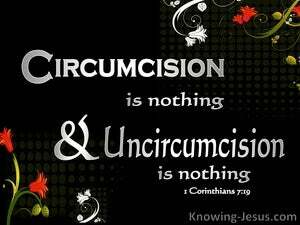 It is a hope that is based on scriptural facts, and the Word of God can never be broken. 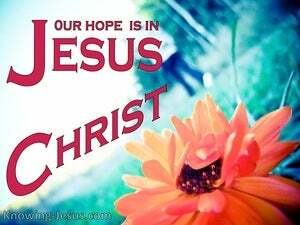 It is a future hope that is linked to the past and a hope that starts and ends with the Lord Jesus Christ. 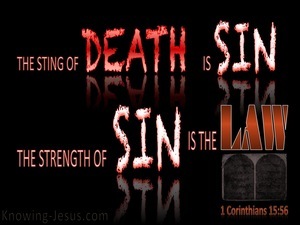 The first Adam sinned and we discover that death came into the world by sin. Spiritual death descended on mankind the moment that Adam sinned triggering a slow and sad deterioration towards physical death for every man. 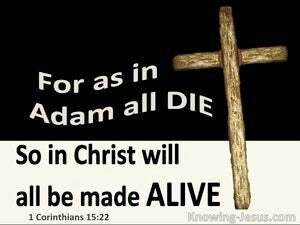 Every man born of woman and every woman born of man's seed is dead in trespasses and sins, for the entire human race is positioned IN Adam - rending all mankind as sinners in need of a Saviour. 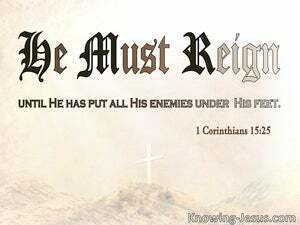 Much in Paul's writing relates to the here and now, but there are passages that deal with events, which are over a thousand years into the future, some of which take place at the end of Christ's millennial rule on earth... and much in 1 Corinthians 15 fits into this category, including this verse which states: "For He must reign until He has put all His enemies under His feet". But we have to find out when this event takes place! 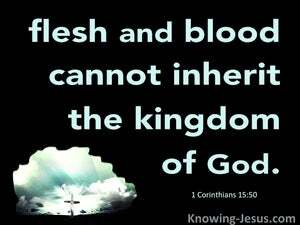 Sin came into the world through one man, and death resulted from sin, causing both physical death and spiritual death to spread to all men. Although born dead in sin... at salvation we are made spiritually alive, but without the resurrection of the body, our salvation would be incomplete. 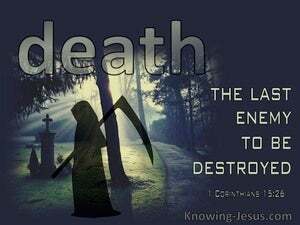 Without the resurrection of a body of flesh and bone, the last enemy, which is death, would retain its prey. For a whole chapter, Paul has been deconstructing the false teaching of classical philosophers and certain religious groups, who declared that there was no resurrection from the dead. 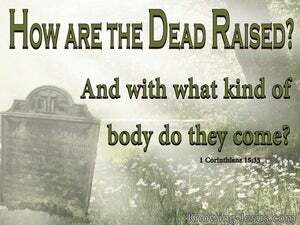 But Paul is ready to answer anyone who asks the questions: How are the dead raised? And with what kind of body do they come? The first man Adam was created by God, from the dust of the ground, to have dominion over the earth and all God’s creatures and was not the result of some galactic accident. The first man Adam, was created in the image and likeness of God and had His very life-breathed into him – but due to man’s fall he lost his position and his kingdom, which resulted in sin and death reigning over the earth and enslaving the hearts of all mankind. There are two races of man. There are two types of human-kind. 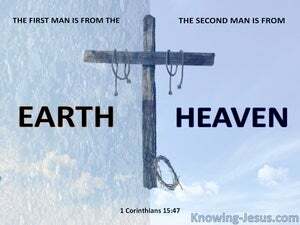 There are two distinct creations of humanity-two categories of people, and though we are all born into the first creation, where the first man, Adam was physically made from the dust of the earth, there is a second Man - the last Adam. 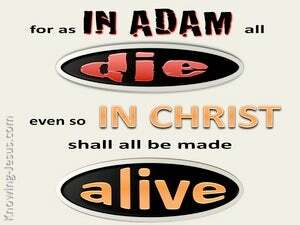 As members of a race of fallen sinners we have the indelible imprint of the first Adam on our spirit, soul and body. We are born dead in our sins. We are born with a corrupted sin nature, which is impregnated with wickedness and is at enmity with God, and we are born in a physical body that starts the life-long process towards death from the moment we draw our first breath. 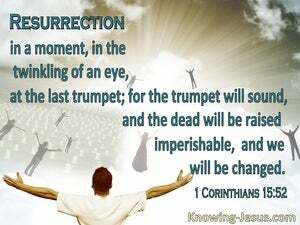 The resurrection of the Lord Jesus Christ, must never be divorced from God's gracious plan of redemption. 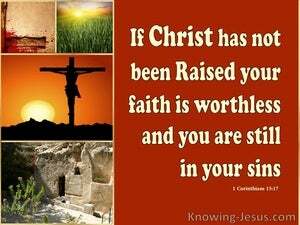 Christ died to pay the price for our sin, but His resurrection from the dead is equally staggering. 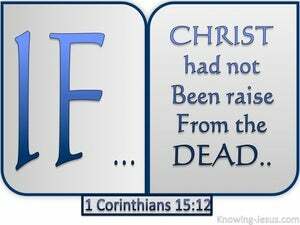 The most comprehensive and informative treaties on the rapture of the Christian Church and the physical resurrection of believers, who have died in Christ is found in this fiftieth chapter of Corinthians. 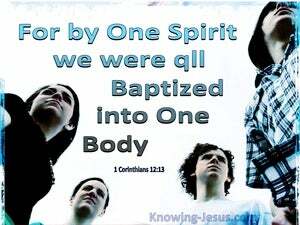 We are baptised into Christ by the supernatural power of the Holy Spirit the moment we are born from above. 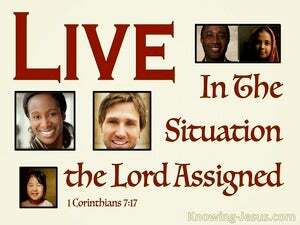 Being placed into His Body or "positioned in Christ" brings with it some amazing privileges from the Lord. We are not only declared righteous by the Father and indwelt by the Holy Spirit, but we become part of an entirely new creation - with Jesus as our federal Head. 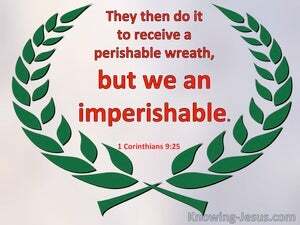 God has an amazing resurrection programme for all who trust in Christ as Saviour, and this is linked with the permanent and total destruction of our last enemy - the final and full elimination of sin and death. 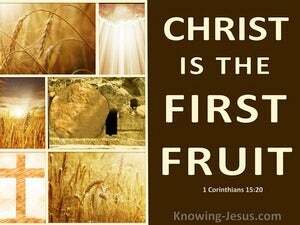 Christ Jesus was the first fruit from the dead and His sacrificial death and glorious resurrection broke forever the power of sin, death, hell the law in the lives of all who would trust in the only begotten Son of God. 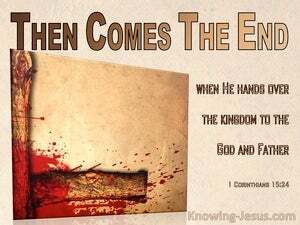 When Christ shouted, "It Is Finished" He alone paid the full price for our sins, and there is now no condemnation to all who believe on His name. When Christ burst forth from the sealed tomb, the angels joyfully proclaimed, "He is Risen". 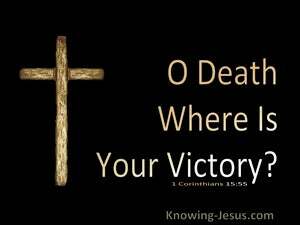 Our resurrected Saviour broke the power of death and hell forever, and the enemy of man's soul became the defeated adversary, bound for the lake of fire. 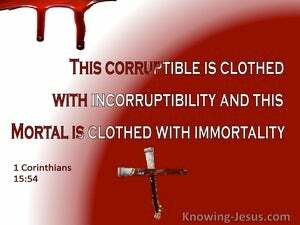 The fifteenth chapter of 1 Corinthians provides the most comprehensive treaties on the resurrection of the body, and eternal life for the believer, in Scripture.. when this corruptible body shall put on incorruption, and this mortal body will be clothed with immortality. 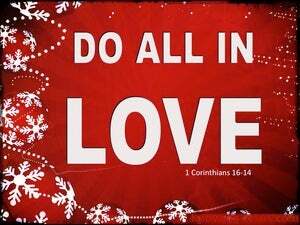 Paul concludes his epistle to the Corinthians by exhorting them to engage in appropriate Christian conduct. 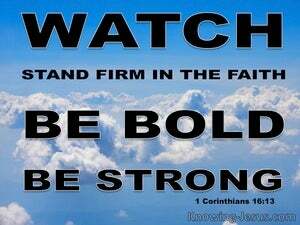 Be on your guard and stand fast in the faith, he commands, and let everything be done in love.